Chandigarh: The SGPC on Saturday rejected the one-man Justice Ranjit Singh Commission and said its President Kirpal Singh Badungar will not appear before the panel appointed by the Congress government in Punjab to look into cases of sacrilege in the state since 2015. The Shiromani Gurdwara Parbandhak Committee (SGPC), called the mini-Parliament of Sikhs, said it was the supreme body managing Sikh religious affairs and thus could not be summoned by a commission. The decision not to appear before the Justice Ranjit Singh Commission was taken at a meeting of the SGPC in Patiala, nearly 70 km from here. “We (SGPC) have rejected the Ranjit Singh Commission. The SGPC has decided that it will not appear before the commission nor submit any documents,” Badungar told media after the meeting. The SGPC decision could lead to a direct confrontation between the Sikh body and the Congress government in Punjab. 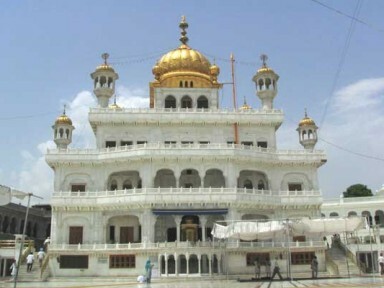 The SGPC manages gurdwaras in Punjab, including the holiest of Sikh shrines Harmandar Sahib or Golden Temple in Amritsar, Haryana, Himachal and other places. The commission had asked Badungar to appear before it on October 8 along with documents pertaining to sacrilege incidents and the pardon granted by the Akal Takht to controversial Dera Sacha Sauda sect chief Gurmeet Ram Rahim Singh. The commission had also summoned Akal Takht Jathedar (chief) Gurcharan Singh. Shiromani Akali Dal leader Daljit Singh Cheema said on Saturday that the SGPC decision not to appear before the commission was right. The Congress government, which came to power in Punjab in March, had rejected the report of the earlier Justice Zora Singh Commission set up by the previous SAD-BJP government in Punjab on sacrilege cases. In April, the Amarinder Singh government set up the new commission headed by Justice Ranjit Singh (retd), a former Judge of the Punjab and Haryana High Court, to investigate all cases of sacrilege reported in Punjab, including three of Guru Granth Sahib in Faridkot district in 2015. The new commission was also tasked to enquire into the firing in Behbal Kalan village in Faridkot district in October 2015, in which two persons were killed. The Akali Dal and SGPC dismissed the new panel as a Congress-backed body.